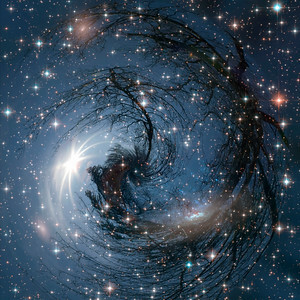 Trees swirling into space created with photomanipulation. 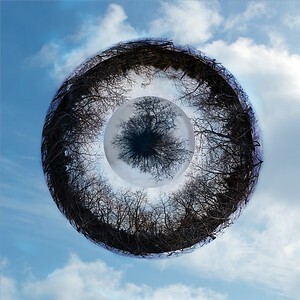 Fantasy eye made of tree branches with blue sky in the background. 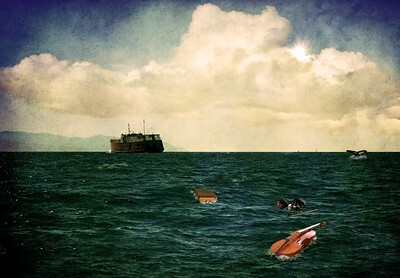 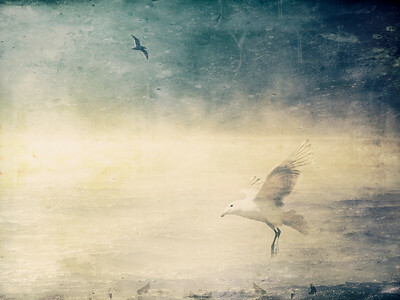 A fantasy scene with an old ship and a cello and suitcase floating in the water with a bird holding a bow with a whale tail in the background and a large cloud. 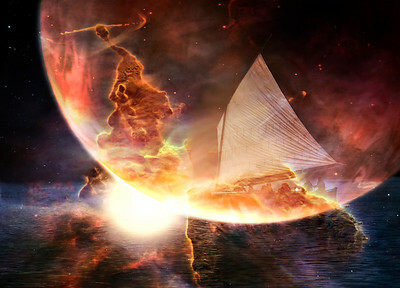 Science fiction concept with a sailing ship in space using photomanipulation of NASA images. 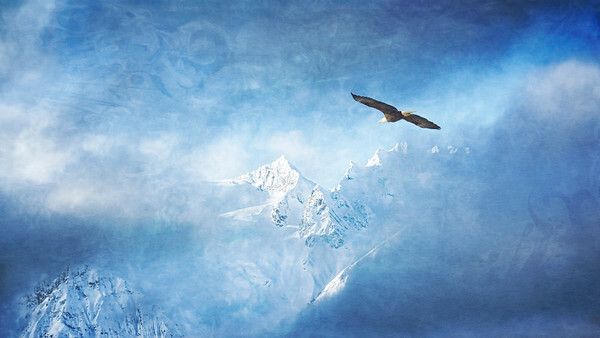 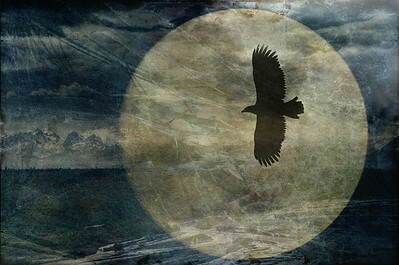 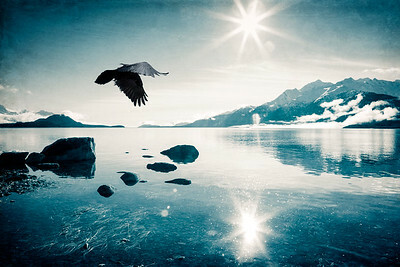 Raven flying over water on a sunny day in Southeast Alaska processed with textures and coloration. 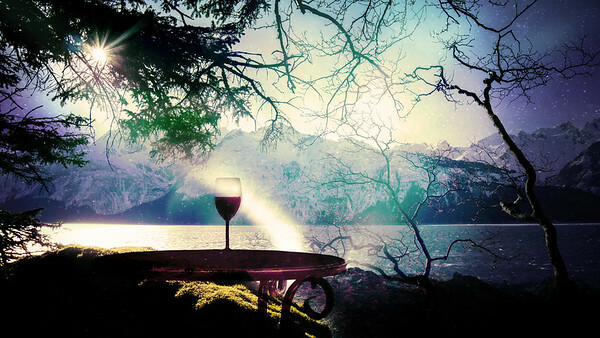 Glass of red wine on a table overlooking the sea and mountains with surreal light and a magical look. 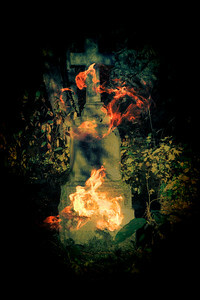 Gravestone with a cross at night with an overlay of flames. 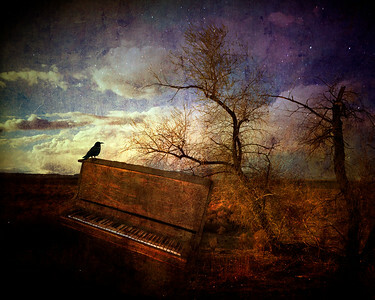 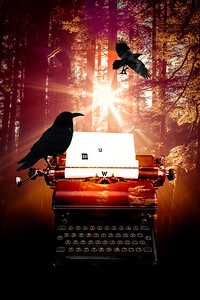 Antique typewriter in the forest with ravens carrying of the letters. 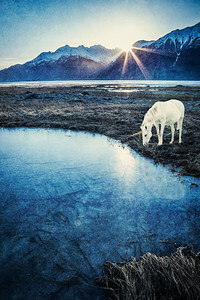 Unicorn by a frozen pond in winter with the sun coming up from behind a mountain with textures. 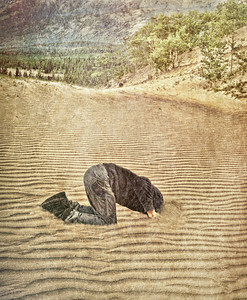 Concept shot of a man with his head in the sand with textures added.